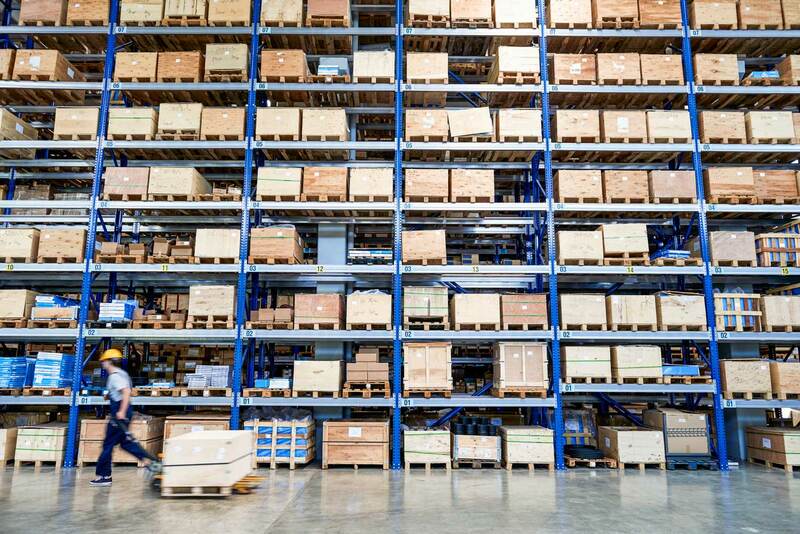 As your business grows and order complexity increases, shipping accuracy can become an issue that needs closer attention. Shipping the wrong product not only aggravates customers but it can generate excess shipping costs, lost or damaged product expenses, or return shipping fees. Fortunately, the new Pacejet Scan Pack module along with inexpensive warehouse scanners can help you efficiently validate items against sales orders as you pack them up for shipping. 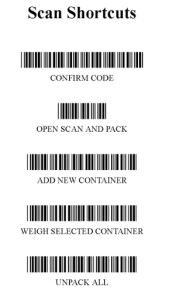 A core piece of Pacejet functionality has always included various tools such as Drag and Drop packing or Auto Packing to capture important shipping details including container identifiers, descriptions, dimensions, weight, freight class, and even the items in every shipping container. The new Pacejet Scan Pack module adds a new, integrated method for packing that extends existing tools with scanner-driven verification of items as they are packed into shipping containers. In practice users may use different Pacejet packing tools with different order groups or styles based on efficiency and validation requirements. For example, bulk B2B or retail orders might be most efficiently managed via Drag and Drop packing whereas B2C orders with 4-10 mixed items in each shipment might benefit from the new Scan Pack validation process. The purpose-built user interface in Pacejet Scan Pack is designed to operate very quickly and provide both audio and visual feedback during packing. 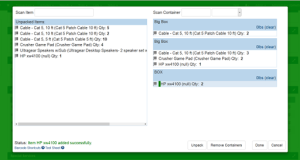 As items are scanned into boxes or onto pallets, audible "confirmation" and "error" sounds immediately inform users of incorrect items or other mistakes. Highly visible green (Go) and red (Stop) screen visuals with on-screen messages help users quickly react to and resolve error conditions while they keep moving efficiently. The large, uncluttered layout of the screen, and multiple feedback methods mean users can run tethered or blue-tooth scanners and don't have to be constantly viewing the screen as items are verified and recorded. A core feature of Pacejet Scan Pack is the integration with ERP fulfillment data so that scanning processes are validating physical packing activities with order data in your ERP system. Scanning processes extend beyond item validation, allowing users to scan boxes and other barcodes to create container records without using the mouse or keyboard. Continuing the theme of a scanner-driven user interface, activity shortcuts are supported so users can scan codes to capture a container weight, close containers, or perform other functions without touching a keyboard or mouse. As an added convenience, a built-in help function provides handy scan shortcuts which can be used at shipping workstations or as a foundation for your own shortcuts on documents. If shipping errors are starting to become a concern in your business, the Pacejet Scan Pack solution provides an efficient way to eliminate errors without slowing down your fulfillment operations. With low-cost blue-tooth scanners now available from many sources, no software to install on workstations, and easy built-in access from within Pacejet, scan validation of shipments is easier then ever to implement in your business. Interested in learning more about Pacejet or how the new Scan Pack solution might help your business? Contact us today at 877-722-3538 or via pacejet.com.